With the job market more competitive than ever, recruiters and hiring managers are increasingly opting on doing their initial job interviews over the telephone. The thought of a telephone interview may at first fill you with joy; you don’t have to get dressed up, you don’t have to leave the house and yes, you could even stay in bed! 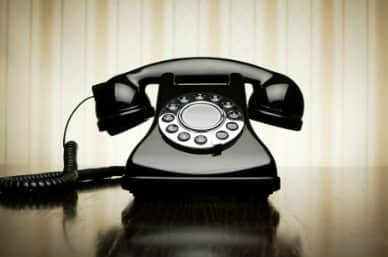 However, let’s not get carried away, it doesn’t mean you shouldn’t treat the phone interview as seriously, if not more seriously, than any other interview. Just because you’re not face to face with a potential employer it does not mean you can forget everything you have learnt about interviews. A telephone interview is not the time to slack. In fact, you must work even harder to make yourself stand out to a potential employer. If you are lying in bed or slouching on the sofa it will show in your voice. Pick somewhere in your house that will help you get in to a professional state of mind. You could always try standing whilst on the phone as this can help knock your energy levels up a notch. During any interview, you want to give it your full attention. Make sure you limit any possible distractions, turn off your TV and your computer screen and put away any books or magazines around you. Take advantage of the fact that the interviewer cannot see you. Research the company and go over the job description, jot down some notes or important questions you might want to ask but don’t write down too much – you want to sound natural so don’t totally rely on pre-prepared answers. If you are taking the call on your mobile phone, you want to make sure you pick a location where you have good reception. Interviewers will be busy and they may not have time to call you back if your phone cuts out. When it comes to telephone interviews, your voice and language play a vital role in standing out. Avoid slang words and talking too fast. Smile when you talk as this naturally ensures you sound enthusiastic. Before you say goodbye, ensure you’ve expressed your interest in the role. Confirm with them what the remaining recruitment process is and how long before you can expect to hear back. Make a note in your diary to follow up if you haven’t heard.